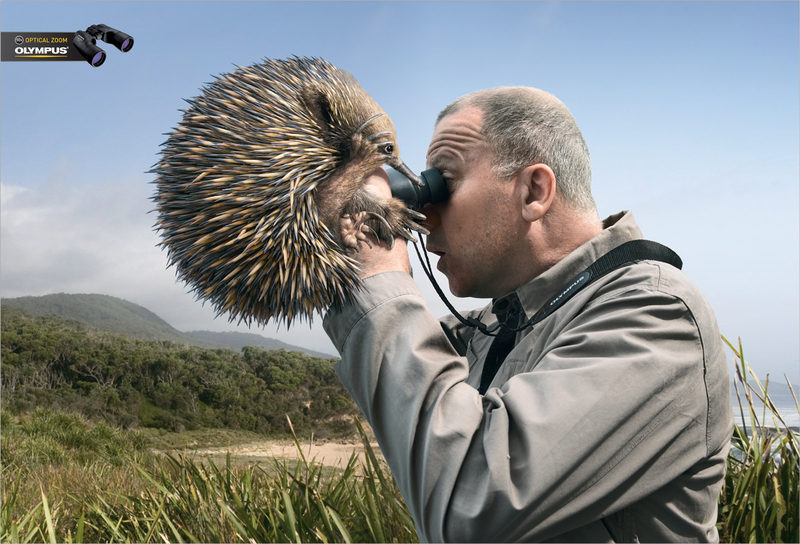 Olympus in Australia is linking the optical zoom on binoculars with Australian wildlife in a campaign featuring a koala, echidna and red-tailed cockatoo. When you look at things through Olympus Binoculars they get closer than you’d ever imagine. 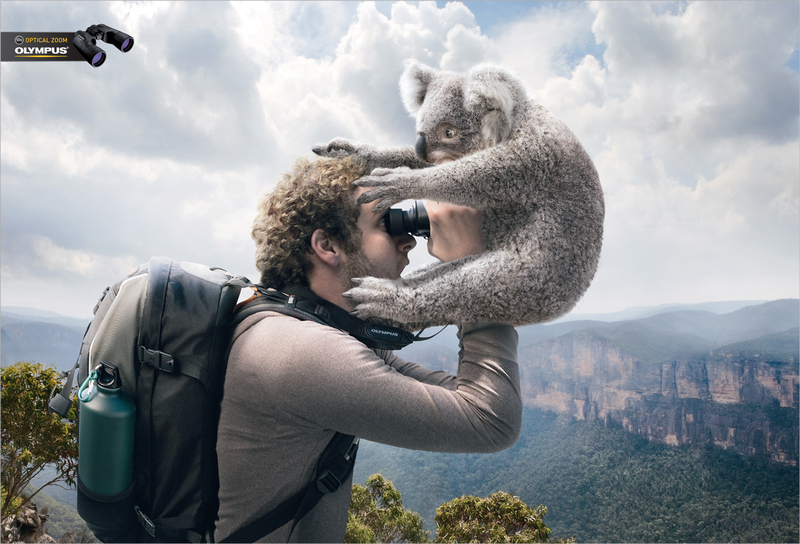 The campaign was developed at JWT Sydney by executive creative director Andy DiLallo and Jay Benjamin, creative group head/art director John Lam, creative group head/copywriter Jason Ross, acount manager Peter Bosilkovski, typographer Jeffrey Oley, photographer Adam Taylor, with retouching done at Electric Art. 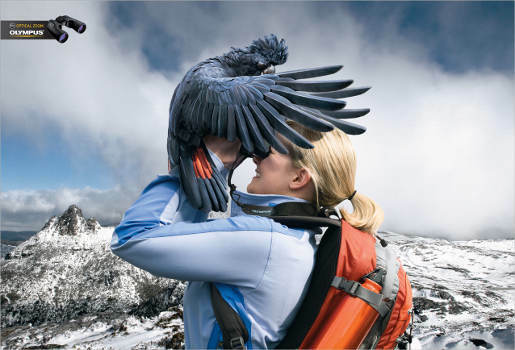 The team at Electric Art tell us that the animals in these images were the trickiest element to retouch, so they were shot first, with the background and talent lit to match. Each creature was manipulated from between 3-6 shots each.